The Land Transport Regulatory Commission’s new regulations require commercial vehicle drivers to obtain new certification and safety equipment, which most drivers find difficult to obtain and achieve. The land transport sector in Jordan has faced increasing challenges in recent years. The closure of the Syrian and Iraqi borders contributed to great losses (over 150 million JOD in 2015 alone) and this imposed many hurdles to businesses in the sector which threatening their survival. New mandatory international transport regulations introduced by the Land Transport Regulatory Commission (LTRC) in 2014 posed an additional challenge to small businesses in the sector, despite their importance to accessing new markets and expanding due to the high cost of adopting them. In light of these problems and limitations, the USAID Jordan Local Enterprise Support Project (LENS) partnered with LTRC to support and train small businesses on the new international safety standards and competencies that would allow these business to access non-traditional regional and international markets. In the first phase of the program, an international transport expert developed a curriculum that included a variety of internationally compatible topics customized to better serve the Jordanian transport sector. The partnership also supported the creation of a national Training of Trainers program for local driving centers across the kingdom to be able to meet the new regulations and help them acquire the necessary certification. 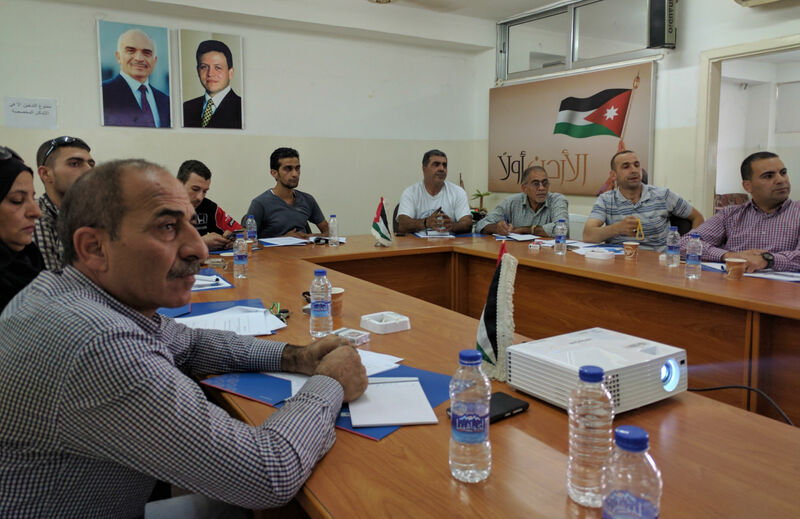 The workshops trained a total of 132 trainers representing 90 driving centers, and were held across 3 governorates; Amman, Irbid and Aqaba. The participants are now qualified trainers on topics such as the transportation of passengers, loading and transportation of goods, transportation of dangerous goods, and many other topics that aim to raise the quality of work and the services offered.